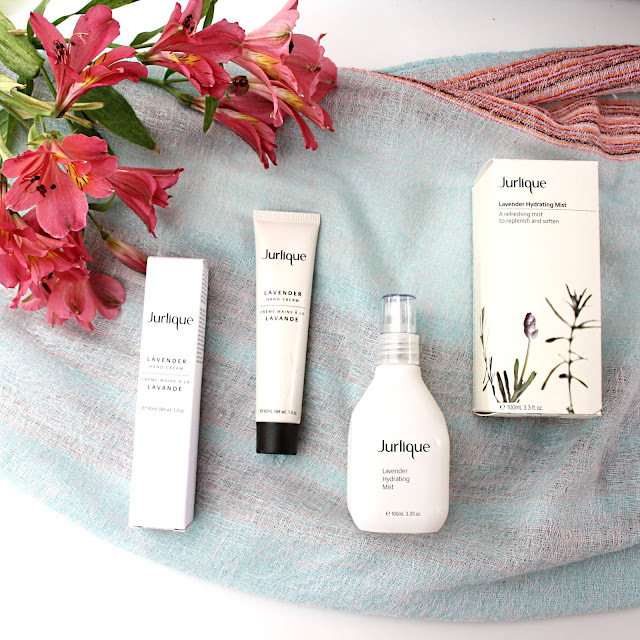 Jurlique is a brand I had always wanted to try, but hadn't had the chance to, until a few products from their Lavender line arrived on my desk recently. I have had the chance to test out their gorgeous Lavender Hand Cream and Hydrating Mist, and wanted to share my thoughts with you guys! Jurlique started with a dream: to connect people back to nature. Dr Jürgen Klein, a biochemist, and his wife Ulrike, a botanist, had always been passionate believers in the healing power of nature. Their vision was to create a pure and natural skin care range combining the ancient arts of alchemy, herbal medicine and homeopathy to reconnect people to nature. They discovered the pure land of the Adelaide Hills in South Australia in 1980 where they established a farm, whereby they grew (and still grow) the pure and potent ingredients found in Jurlique today. 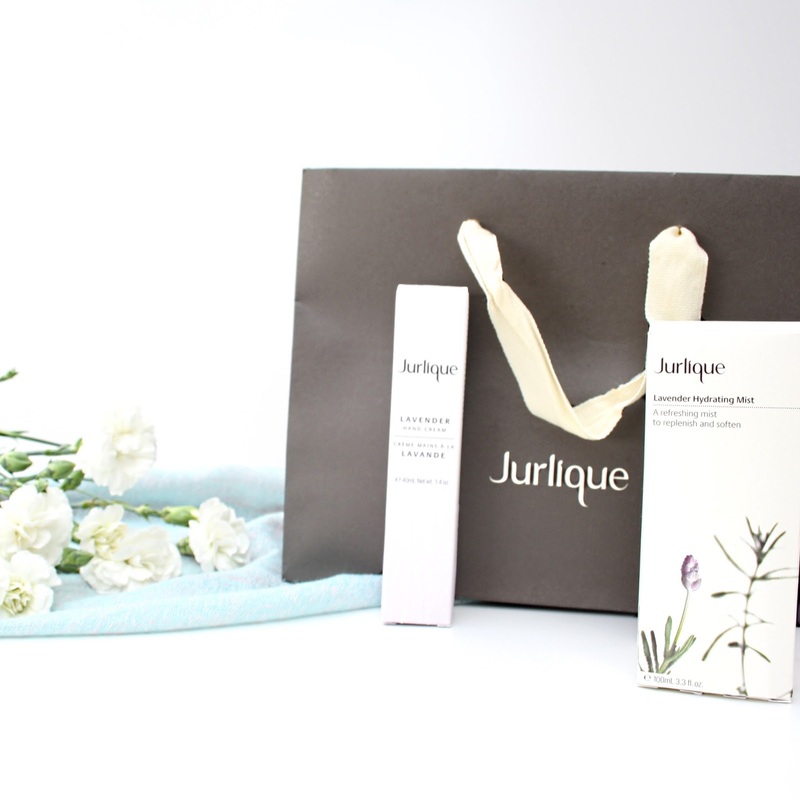 Jurlique has some of the prettiest packaging I have come across in over 4 years of blogging. From the sleek white packaging to the beautiful lettering on the bottles, I am hooked! I received the smaller size tube of this hand cream, which is perfect for popping into a handbag! This hand cream is perfect for any time of the day. It leaves my hands moisturised and nourished, and helps hydrate my cuticles to prevent them peeling and getting sore. The lavender scent is beautiful and perfect for applying to your hands (while inhaling the scent) anytime you are feeling stressed or overwhelmed. The lavender scent is so grounding and will leave you feeling more calm and rested. Plus, have you seen the elegant tube it comes in with the faint lavender illustration on the front?! In love. I feel like this is the perfect summer product. This mist hydrates and balances dry skin, as well as refreshes on hot days and post workouts. It can be used post cleansing as a toner, or just any time during the day when you need a freshening up! This lavender mist is designed for dry skin types, but I feel like any skin type would love this mist, especially acneic skin as lavender has antibacterial and anti-inflammatory properties. I used this mist when I received a welt on my bare back from my overexcited dog playing with her toy near me. The mist instantly seemed to soothe the area and calm down the redness and swelling. This mist comes in a beautiful white frosted glass bottle and would look gorgeous on any vanity. I absolutely love both of these Jurlique products and highly recommend them! Jurlique has a large range of skincare and body products which would make great gifts for a loved one this Christmas. You can grab both of these products from Beauty Bay; one of my favourite international stores.